What a year it’s been for the Dragon of Dojima. Ever since Yakuza 0 made its way west in 2017, PlayStation fans across North America and Europe have been treated to both Yakuza Kiwami, a current-gen remake of the original classic, and The Song of Life, the most recent installment in Sega’s mainline series. The past twelve months have been a banner year for Yakuza, and thanks to the oncoming release of Yakuza Kiwami 2, it won’t be much longer before we’re back among the streets of Kamurocho. So to ensure you’re fully up to speed, we’ve scoured the four corners of the Internet (and the PSLS archives!) to present to you everything you could possibly need to know about Sega’s latest title. It’s the first of many to come, as the industry collectively draws its breath for a busy fall period–think Spider-Man, Shadow of the Tomb Raider, Fallout 76, and a little-known Western title called Red Dead Redemption 2. 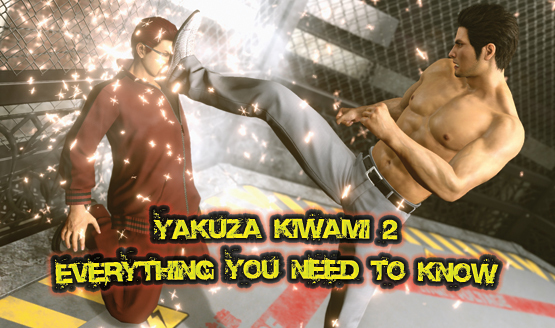 Based on Paulmichael Contreras’ own review, Yakuza Kiwami 2 gets the ball rolling with ease. So without further ado, let’s get to it, shall we? Yakuza Kiwami 2 reaches theses shores on Tuesday, August 28. The question, really, is whether you’ll be picking up Sega’s latest adventure come release day.